Not only can the VPC 2.0 capture video while in use, it also features a built-in microphone. This microphone adds the ability to provide voice descriptions of what the user is seeing. Pairing the audio along with the captured video provides essential context when reviewing the footage at a later time. 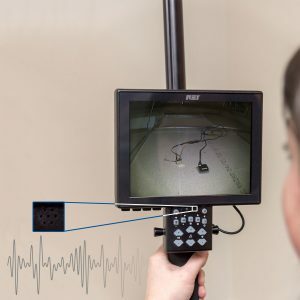 The VPC 2.0 is an effective physical search tool when needing to visually inspect hard-to-reach areas. With a minimized footprint due to its physical size, users can get in and out of a sweep location more efficiently without carrying additional bulky items like a ladder. This is an excerpt from REI’s TSCM Quarterly Newsletter. Click here to download the full edition.